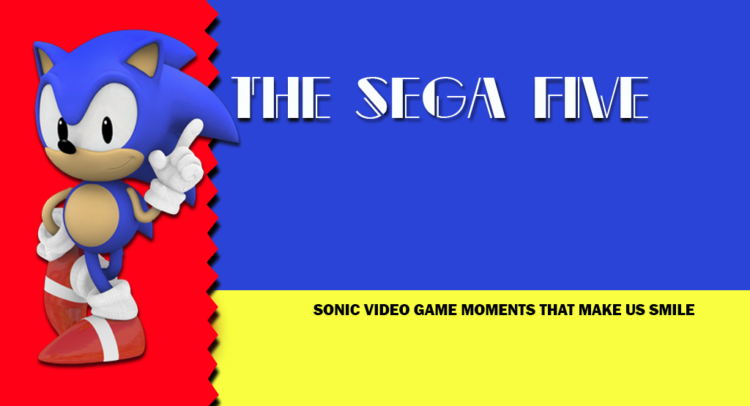 Welcome to a new SEGA News Bits, now that the SXSW Sonic the Hedgehog panel has passed we sit down and discuss what we learned regarding Sonic Mania. We talk about Sonic Mania being delayed, Sonic & Knuckles‘ Flying Battery Zone being announced as a new remixed level, new official Sonic Mania artwork, the Sonic Mania soundtrack vinyl, and even the first real life look at the Sonic Mania Collector’s Edition. So all you Sonic Maniacs tune in and what are your opinions on all the new Sonic Mania news? Let us know in the comments below. While we know that Sonic Mania is delayed, we got a tease that Flying Battery stage from Sonic & Knuckles will be remixed and featured in Sonic Mania. We got a short clip of the game in action (which you can see the direct footage above). The game will feature a new tune remixed by Tee Lopes who is responsible for the Sonic Mania soundtrack. What is your thoughts on Sonic Mania remixing old stages like Flying Battery Stage from Sonic & Knuckles? What other stages do you want to see? Let us know in the comments below. 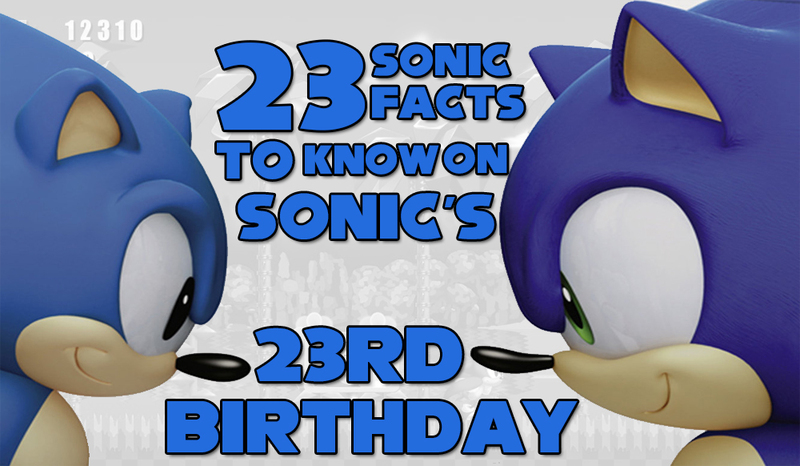 It’s time to end our week-long Sonic the Hedgehog 23rd anniversary celebration with 23 Sonic facts. Since Sonic the Hedgehog is quite a popular character you might or might not have read some of these. Let’s get started! Welcome to a new entry for our Monday Memories weekly (hopefully from now on) articles. 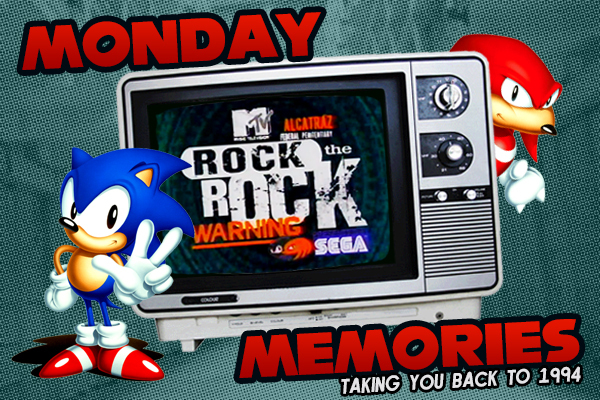 This week we’ll be taking you all the way back to the year 1994, at the height of SEGA’s popularity. They had a great mascot that released three main games in his franchise, sold tons of SEGA Genesis/Mega Drives around the world, and had a new upcoming game: Sonic & Knuckles. What better way to introduce the game to America than an MTV special entitled “Rock the Rock” on Alcatraz Island? 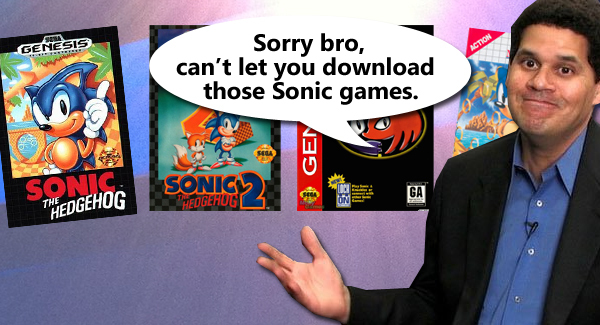 Most of the retro Sonic titles are being removed from the Japanese Virtual Console service. There has ben no word if these games will also be removed from the American and European Virtual Console. Games removed from Virtual Console can’t be bought by any new users, though they can be redownloaded once bought. Reason wasn’t given for the pull. So, I thought I’d give us all a break from orchestrations this week, to post up an oldie but a goodie: Sky Sanctuary Zone. I loved this song back in the day, and it’s still the classic Sonic theme I best remember. I still remember when I first loaded up Sky Sanctuary and was greeted with this tune. It was so…different from anything else I had ever heard in a Sonic game before, and it instantly gave Sky Sanctuary this huge breathtaking feel that went perfectly together with it’s scope. This theme is one of the primary reasons why I wanted the level to be included in Generations. Speaking of which, I am including two very awesome remixes of this song below the fold, one put together by Kanjika and the other from Sonic Generations. I HIGHLY encourage you listen to both. It’s really surprising what Kanjika is able to do with this. My favorite tv show of the 90’s featuring my favorite game of the 90’s, it’s a match made… in space! On the November 11th, 1994 episode of Cartoon Network’s Space Ghost Coast to Coast, upon returning from commercials Space Ghost is caught up in a game of Sonic and Knuckles. It must have been a long commercial break, as Space Ghost has reached Hidden Palace Zone. Before cutting to Space Ghost, Zorak dances to the Sonic and Knuckles title screen theme. 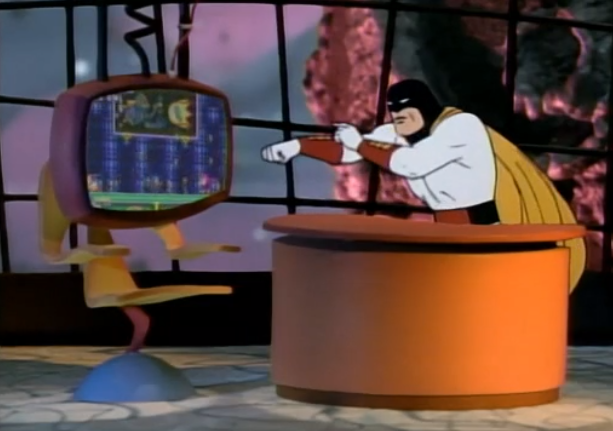 Just as Space Ghost is about to defeat Knuckles, he is interrupted by the guest and continues with the show.